If you do not have a Kindle reader, Kindle PaperWhite or Kindle Fire, Kindle app for Windows allows you to read Kindle ebooks on your PC, laptop and tablet with Windows OS. There are 2 versions of Kindle app for Windows, i.e. Kindle app for Windows 8 which only runs on Windows 8, and Kindle for PC which runs on all Windows 8, Windows 7, XP, and Vista. Installing Kindle for PC is rather easy, just download the Kindle for PC installation file from Amazon and install. 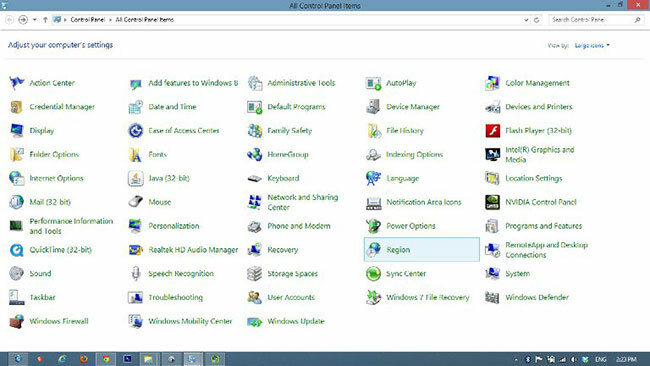 It will create a shortcut icon onto your desktop and start menu automatically. 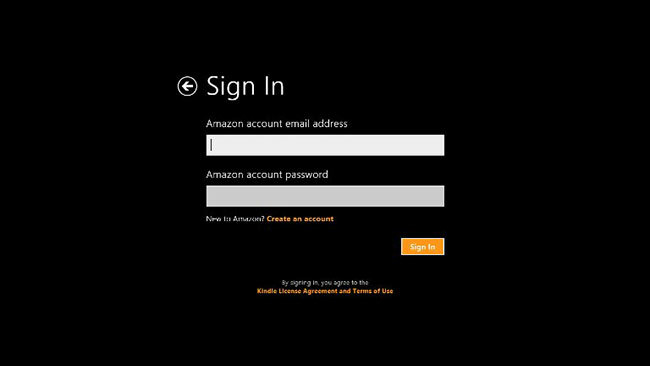 Login with your amazon account and you are ready to use. If you do not have Amazon account, click here to sign up for free, you can refer Step 4 in this tutorials on how to signup Amazon account. We also have a detailed tutorial on how to buy Kindle ebooks to teach you a secure way to buy Kindle ebooks for your device in Singapore. 1. Go to your device control panel and select the ‘Region' settings. 2. 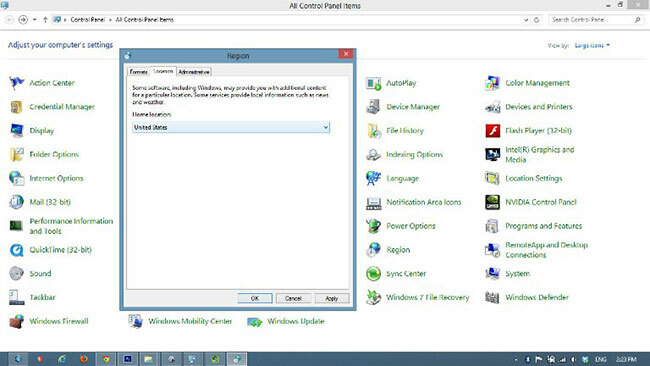 Under ‘Location' tab, set your Home location to United States. 3. 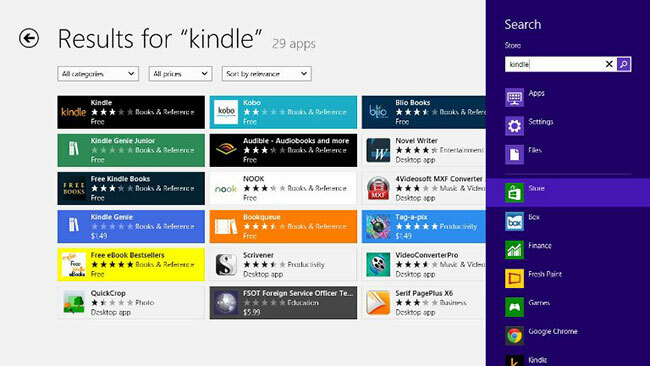 Now, search for Kindle app in Windows Store and you should be able to find it. 5. 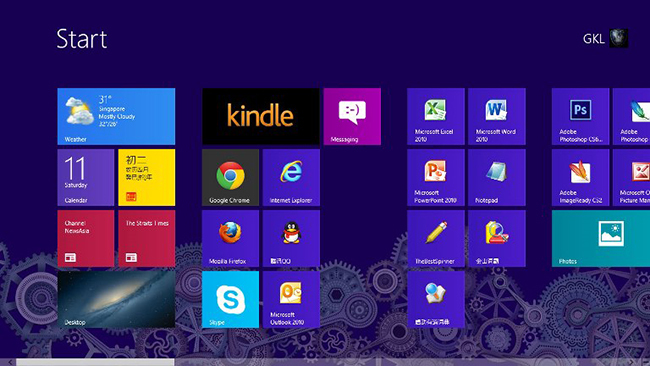 You will find the Kindle app for Windows 8 shortcut at the Start Menu. 6. Log in with your amazon account. 7. 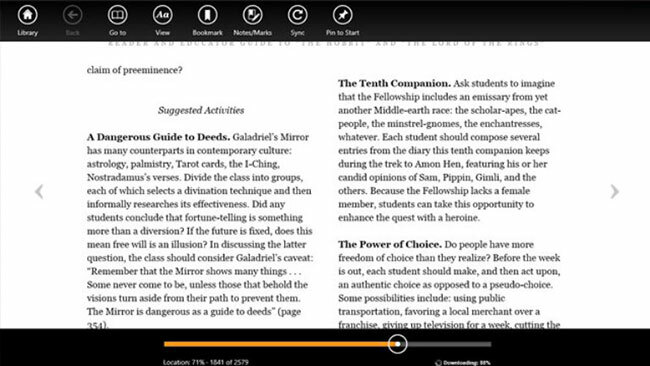 Once you have logged into app, it will connect with your Kindle library. You just have to download the Kindle ebook your purchased into your device and you are now ready to read your Kindle ebooks offline. 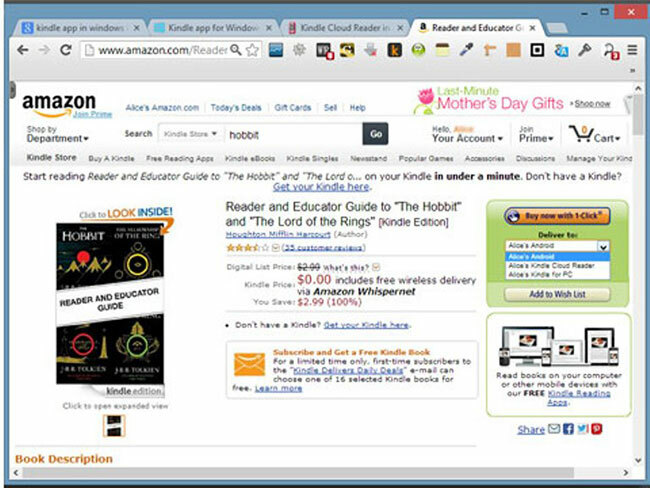 How to buy Kindle ebooks for your Kindle app for Windows in Singapore? 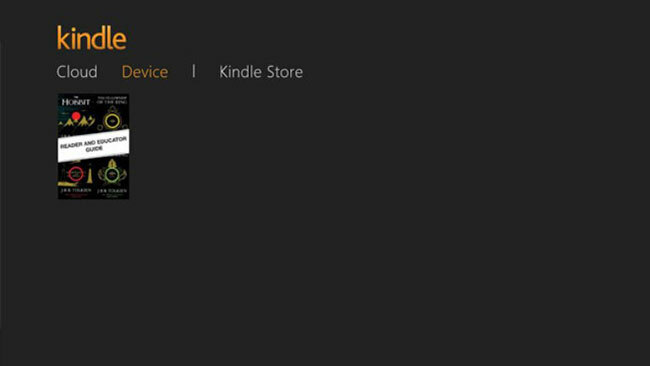 The Kindle app for Windows does no allow you to buy Kindle eBooks within the app itself. When you click the Store menu in the app, it will link you to Amazon website where you will buy the books through internet browser. However, due to the geographical restriction of Kindle store, you can't actually access the Kindle titles within Amazon website. Refer to this post which provide you the detailed step-by-step tutorial on how to buy Kindle ebooks for your Kindle app for Windows in Singapore. 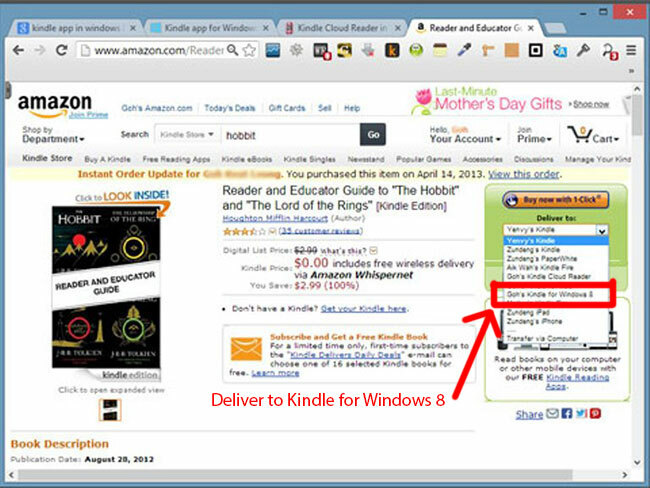 During the buying process, select respective delivery method to send your Kindle eBook to your device. 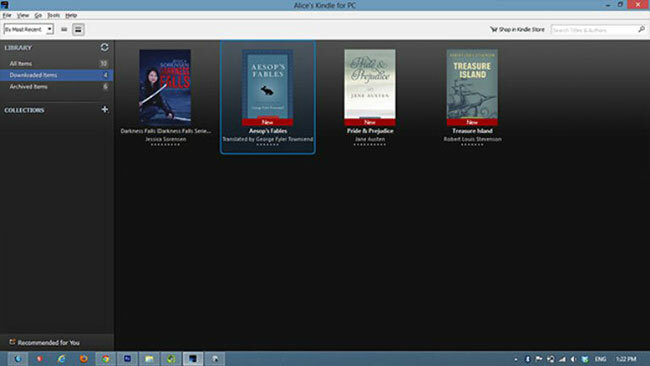 Select deliver to your ‘Kindle for PC' to deliver the book to your Kindle for PC. 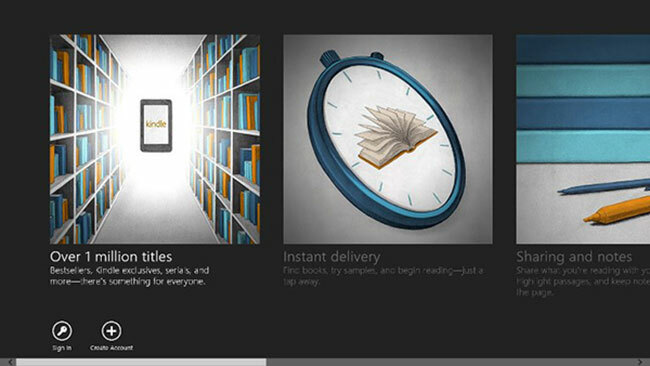 Select deliver to your ‘Kindle for Windows 8' to deliver your purchased ebook to your Windows 8 device . 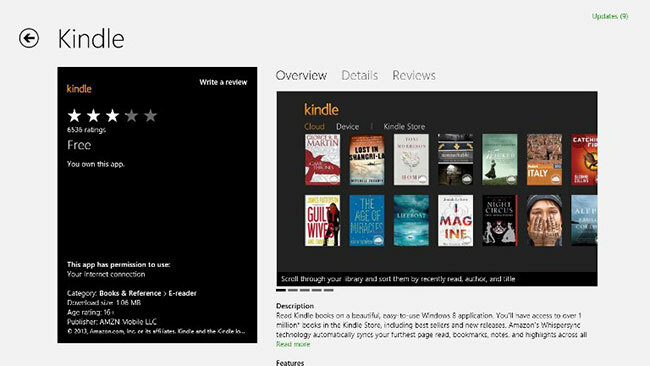 Lastly, Kindle app for windows gives you an alternative solution to read Kindle eBooks in Singapore. 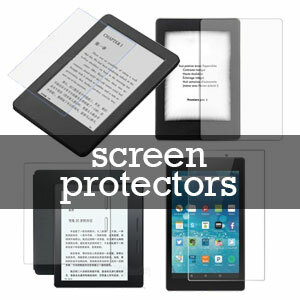 It has most of the features like the native Kindle device such as personal notes, synchronization and bookmarks. However, you can't buy Kindle eBooks directly from the app itself. Overall, the native Kindle device such as Kindle PaperWhite still provide a better reading experience with its e-ink technology where you can read a book under the sunlight just like you were reading a normal paperback title. And of course, the size and weight of the Kindle allow you to carry around thousand of books within your pocket. If you like to buy Kindle in Singapore, you can refer to this post for more information on how to buy Kindle in Singapore. 1. Share this on Facebook. Thanks to your instructions. I’ve just downloaded kindle app for ipad and windows 8. However, I do not own any kindle devices. I wonder after downloading kindle books to my computer (windows 8), how can I transfer the books to my ipad for reading? that shouldn’t be any problem. you can download kindle app for your ipad. refer here on how to download kindle app in ios devices. Hi I can’t download kindle as I dont have a US address and US credit card to be set under payment info. Can we don’t set the payment info to install apps especially apps from other countries ? The Kindle app is free, we are not too sure why your system asking for payment information. We downloaded it with no payment information required. Anyway, you can also download and install the Kindle for PC version as stated in the tutorial, that would not need any payment information.